Melbourne is one of the most diverse cities in the world with regions offering everything from mountains, parks and forests, and wildlife centres to wine regions and city life. There is so much to do and see, like the City Laneways with its bustling shops, bars and restaurants and its art and culture tours and exhibitions. Melbourne is blessed with fairly temperate weather too. Temperatures rarely fall to freezing, averaging from a low of 43°F to a high of 80°F. So, with all this in mind, you’ll see that the best way to get around is by car and, in the city region itself that means a small car. Firstly, decide on what your basic must-haves in a city car would be. The most obvious ones have got to be ease of parking, no fuel guzzling and maybe an automatic gearbox to make the city drive less tiring. With the price of unleaded petrol averaging around 130 cents per litre and diesel slightly more, city cars are becoming big business in Australia and in fact, small car sales figures are beginning to outstrip those of large cars. So, let’s take a look at the best small cars for city driving. I recommend this list of great coffee spots to visit before you checkout those cars! Toyota has for many years been class leaders in the production of small capacity cars and its best sellers, the Aygo and Yaris are always popular choices. Both of these small-engined cars are fun to drive and economical on fuel, with the Yaris being slightly bigger inside and probably more suited to carrying rear seat passengers than the Aygo. Fiat 500. This stylish little Italian car has soared in popularity ever since its rebirth in 2007. Its 1.2 litre and 1.3 litre engines will both give an average 50 mpg, so not too hard on the pocket, and they come equipped with an engine stop/start system for even more fuel economy and greener credentials. Nissan Micra. Having gone through a couple of body styling improvements, this has a 1.2 litre engine and some models also have stop/start technology. Probably a little down on fuel consumption compared with other small cars but it is easy to drive, is supremely manoeuvrable and has a decent sized boot for storage. Hyundai i20. This little car is gaining popularity with its reliable and staggeringly fuel-efficient engine (its greenest model the i20S Blue giving a claimed 83 mpg). It is a very comfortable car about town, again with a good-sized boot. Volkswagen Up! VWs latest baby is a cute model with distinctive styling. It is surprisingly roomy, easy to drive and cheap to run but Volkswagen do not yet offer an automatic transmission with this one. Ford Fiesta. The evergreen supermini offers a great deal of interior space and is extremely comfortable and easy to drive. It has a wide range of engine sizes and the most popular and frugal choices for city driving are the 1.6 litre and 1.4 litre, which are good for longer drives too. The 1.4 is available with an automatic transmission. Mazda2. The Mazda is another new city car on the block. With a 1.5 litre engine and manual transmission it is said to be a comfortable ride but with a little less rear legroom than some. Many newer cars now come with extras like Bluetooth/mp3 capability and satnav. Radio/CD players and air conditioning or climate control are often standard. Some are equipped with child restraint anchors in addition to standard seatbelt anchors. 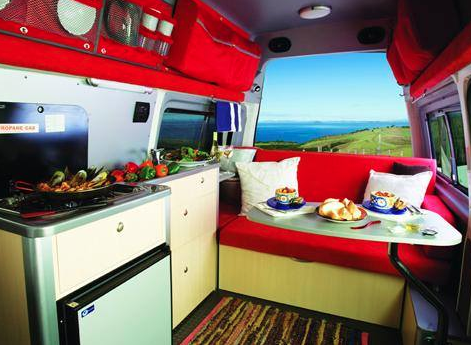 If you’re after something larger, check out campervan rental with Drive now to get the best prices. Whatever your city car preference and requirements are, they’ll help you make the best choice.